Willows Farm Village is hosting a very special Christmas event at the moment, Santa Spectacular until Christmas Eve. In case you haven’t been before, hurry while it lasts. We have been to Santa Spectacular and the whole family had a great time. A sleigh-load of festive entertainment awaits visitors to Willows Farm Village, near St Albans this winter as their annual Santa Spectacular gets underway. Young visitors can look forward to a magical day out when they see Santa in his grotto at the award-winning leisure attraction. 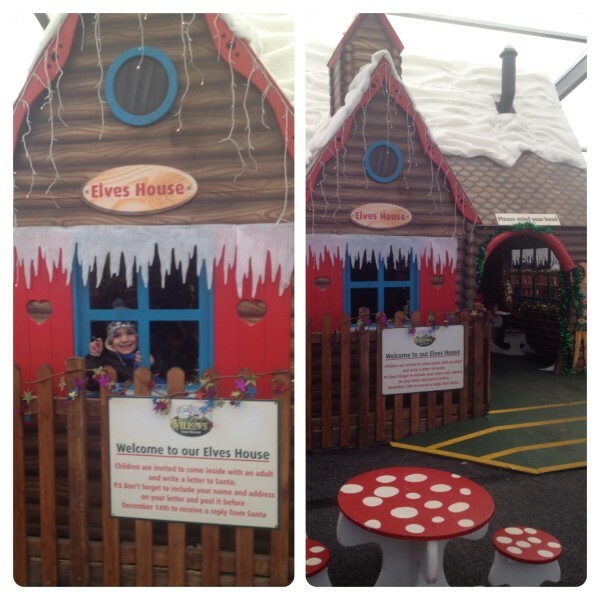 Children will enter a winter wonderland to be greeted by glittering scenes of a fairytale Christmas including gingerbread houses, Santa’s workshop and winter wildlife. Little man enjoying writing a letter to Santa at the Elves House, unfortunately we missed the last post date to get a reply from Santa, but next year we will visit Willows Farm Village sooner so we can post it in the Willows’ postbox and receive a response. Little man’s favourite part was visiting Santa’s Grotto where he was given a golden key to his Toy Shop so he could choose any gift from the hundreds on display. There is something for everyone, from cars and train sets for boys, to dolls and craft sets for girls. Little man was spoilt for choice and ended up choosing a very cute stick horse. 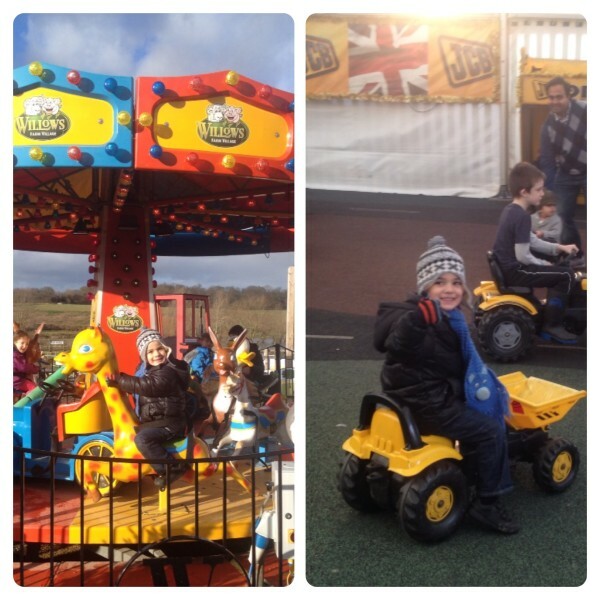 After our visit to Santa’s Grotto, we enjoyed the rest of Willows Farm Village, little man had lots of fun at the JCB Young Drivers Zone and the Festive Fun Fair Rides. You can also enjoy the Magical Ice Rink made of synthetic ice, Nativity story and pantomime in Woolly’s Showtime Theatre, festive wood ride. Little man loves animals, so he had a great time at the undercover Farmyard, animal handling and feeding area. 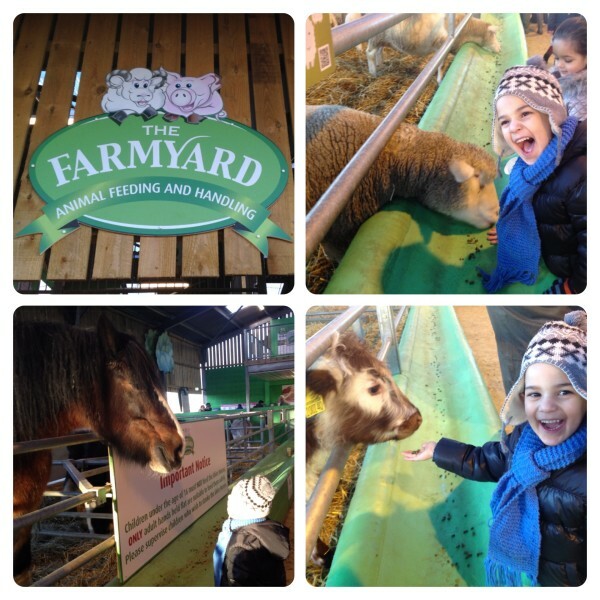 Little man enjoyed looking closely at the horses, and feeding the animals. He said it tickled, and kept giggling when the animals licked the food off his hand. It was quite funny watching him feeding the animals and the priceless smile on his face. We then saw Santa’s Reindeers, Batman is an eight year old male reindeer, father of two female reindeers, Silver, one year old, and Star, two years old. Little man has never seen a reindeer before, so he was quite excited. There is also a reindeer trail for young visitors to find nine of Santa’s cut-out reindeer hiding around the Farm Village. Those who find all of them receive a box of Reindeer Dust – a magical mixture of reindeer food and glitter that will help guide Santa and his reindeer to their house. Little man really enjoyed handling a guinea pig. 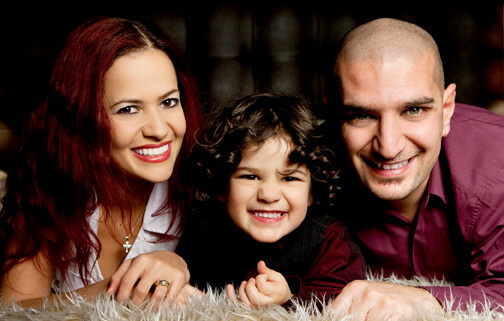 He loves animals, but unfortunately we don’t have any pets at home that he can touch. We have a fish tank, but fish is not the sort of animal that you can take out of their house for a pat on the back or two. There are benches where you can sit down and enjoy cuddles with a guinea pig, little man loved touching the guinea pig. On your way out of The Farmyard, you will find sinks with water and soap to wash your hand after feeding and touching the animals. 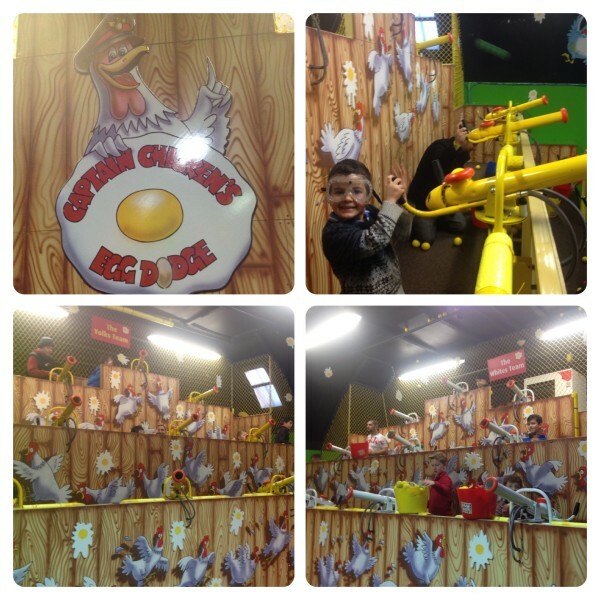 Another great part of our visit was playing at Captain Chicken’s Egg Dodge, indoor ball blast arena perfect for kids and adults. During our visits, I’ve noticed that it is more popular with dads, they can get quite competitive playing the game, while kids love fetching the balls for their dads. Such a lovely game, the whole family enjoyed playing it! 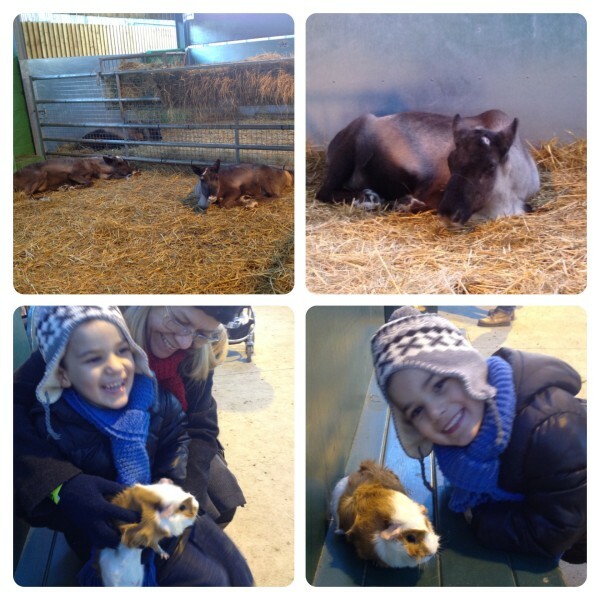 Overall, we thoroughly enjoyed our visit to Willows Farm Village for Santa Spectacular. Santa is at Willows until 24 December 2013, 10am to 5.30pm (closes 4pm Christmas Eve). There are other Special Seasonal Events throughout the year, the next one is February Frolics Lambing Event from 15th to 23rd February 2014. 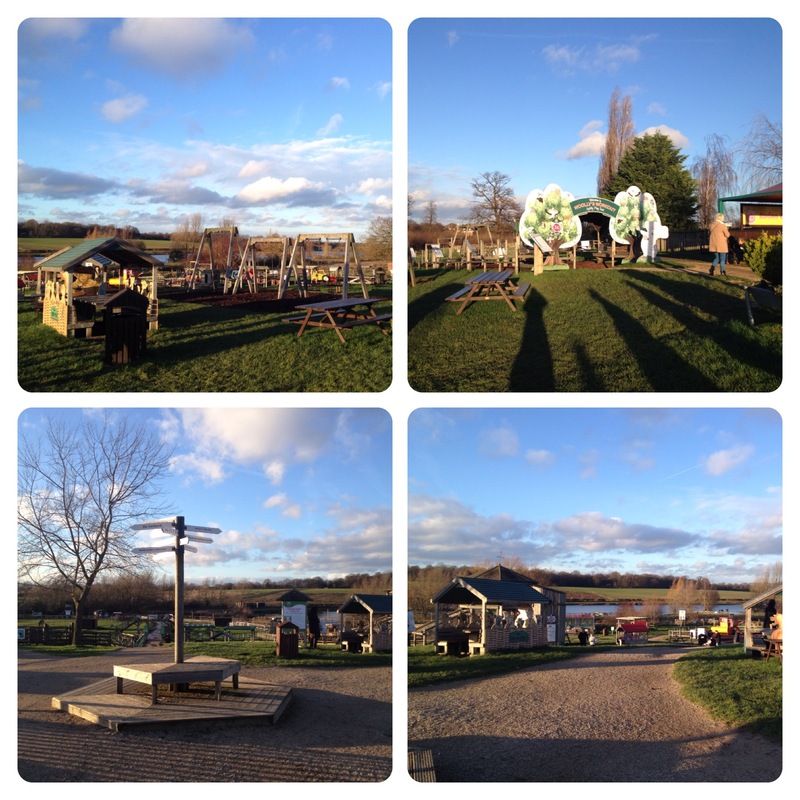 For more information about Willows Farm Village please visit www.willowsfarmvillage.com or call 0870 129 9718. 10 Responses to "Willows Farm Village’s Christmas Santa Spectacular"
Looks a great day out for all with plenty to see and do, love the added extras you can get for the kids. Awww we came here too last year & will again this year.